Pragmatism has again become a force to be reckoned with in contemporary philosophy, although there is no great consensus about what should be meant by the term. For some time it has become popular to divide the pragmatist tradition into two main strands – a realist one beginning with the founder of classical pragmatism, Charles S. Peirce, and a more constructivist approach, starting with William James, reinforced by John Dewey and culminating in Richard Rorty’s anti-representationalism. 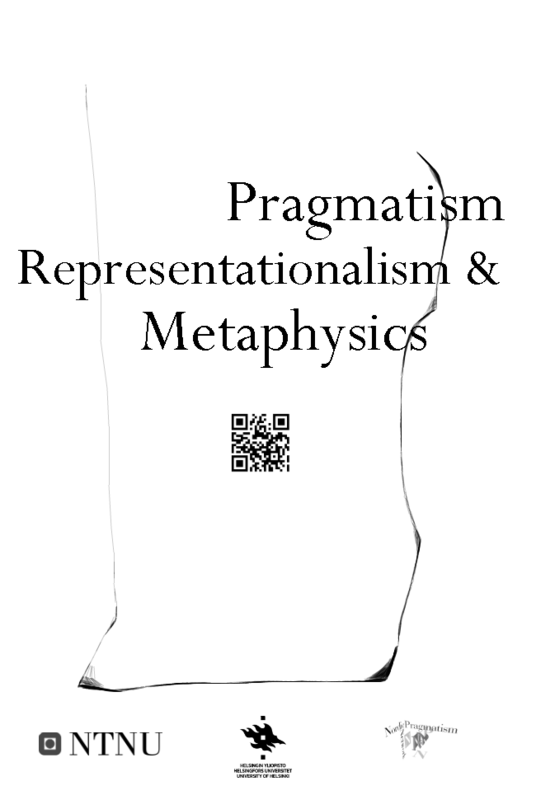 While this may be an oversimplification, pragmatists also diverge in terms of their attitude towards the possibility of metaphysics in ways that can appear to track this divide. Thus more anti-representationalist pragmatists, such as the global expressivist Huw Price, have argued that pragmatism leaves no room for the traditional issues of metaphysics, while others have proposed views much more amenable to such questions or even proposed distinctively pragmatist programmes of “ontological inquiry”. Is there a clear divide between anti-representationalist and representationalist pragmatists, or indeed between anti- representationalism and representationalism more generally? Does anti-representationalism exclude “metaphysics”, as anti-representationalists have usually claimed? What sort of metaphysical questions or issues does or should pragmatism exclude? The workshop is organized by the research project Representationalism or Anti-representationalism? Perspectives on Intentionality from Philosophy and Cognitive Science, led by Jonathan Knowles (Norwegian University of Science and Technology NTNU), the Academy of Finland Centre of Excellence, Reasons and Religious Recognition (University of Helsinki) and the Nordic Pragmatism Network, coordinated by Henrik Rydenfelt. The workshop takes place at the Faculty room (tiedekuntasali) of the Faculty of Theology, University of Helsinki, address Vuorikatu 3 (courtyard), floor 5B. The workshop is open for all, but the organizers kindly ask for a registration by email in advance (info(at)nordprag.org).